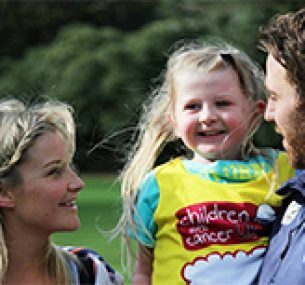 This is the third time that I’ve run the London Marathon for Children with Cancer UK – I couldn’t think of a better cause. This is Sue’s third London Marathon running for Children with Cancer UK. This year Sue’s six-year-old daughter, Holly, has also been running her own marathon one mile at a time leading up to the big day. After Mum had completed the marathon she joined her and they ran Holly’s remaining .2 of a mile together. Holly wanted to support her mother but is too young to take part in the 26.2 mile feat. Holly also ran with Warrington Wolves player Richie Myler and his wife and former Blue Peter presenter Helen Skelton. 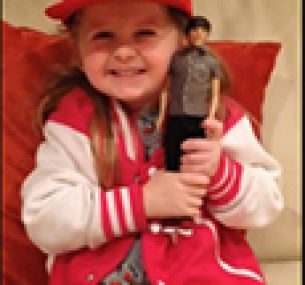 Holly posted a video on YouTube asking her idol, Louis Tomlinson from One Direction, to run a mile with her! We are very impressed and very thankful for her and her mum’s support. Sue and Holly have so far raised a staggering £6,500!